Which Colors Will Go With Revere Pewter HC-172? Like Revere Pewter? Yes it’s a gray and there are so many colors that you can use with it but let’s think outside the box just a bit and look at three colors that maybe, you wouldn’t think of. Revere Pewter is Benjamin Moores number one color but what other colors will go with it? Here I have a very popular Benjamin Moore gray, Revere Pewter. You probably even have it in your home. Sure, it’s a gray and will go with so many colors but take a look at the three I have here in the graphic. LOST LOCKET CSP 41O: Like the necklace that goes missing for months perhaps even years, this color may not even be a thought anymore. Some will have flashbacks of mauve from days gone by but think again, Lost Locket is that color that can just may connect your imagination into a jewel of a color combination for your home. Add brushed nickel accents in hardware, off white trim and a nice wood like tile floor and you now have a gem of a look! FACE POWER CSP 1085 – I already know what you’re thinking – PEACH? HECK NO! Well think again my friends! Gray and peach are classic two classic color combinations and yes, they are not often seen together. Be the one who starts this trend again! Bring some life to the gray that you have in your home with an unexpected color that was once just stowed away at the bottom of ones make-up case. It’s soft, youthful and will liven up any room. Please give this color a chance, it will make your room shine. KNITTED CAPE CSP 965 – This color will bring more comfort to your home than the classic sweater that mom used to knit for you as a kid. It’s warm, light and a little more “comfortable” to look at verses the other two colors I have in the graphic. Gray and yellow are also very classic fit and you absolutely should try them on for size. It’s a one size fits all color duo that will work for most homes. So there you have it. 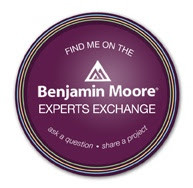 I suggested three Benjamin Moore colors from the Color Stories collection that will work beautifully with Revere Pewter. If you are still using gray in your home and want to spruce up your home a bit this season then try some colors that will grab your attention. Be unique and original when it comes to color. This entry was posted in Benjamin Moore, Color Stories, Gray, Holistic Colors and tagged benjamin moore paint color, Color Stories, gray. Bookmark the permalink.